My hair for the Cosmopolitan Blog Awards by Brooks and Brooks, London! I am little late to this post 😉 few months to be specific! Well, sometimes we all postpone things, don’t we? Or maybe is just me?. Anyway, I got caught up with life, work and everything else and I just have this stupid thing! When I am so much into something, I want it to be perfect, so I postpone it and postpone it until is like ridiculously late! I wanted to share this with you before but well, life happened! 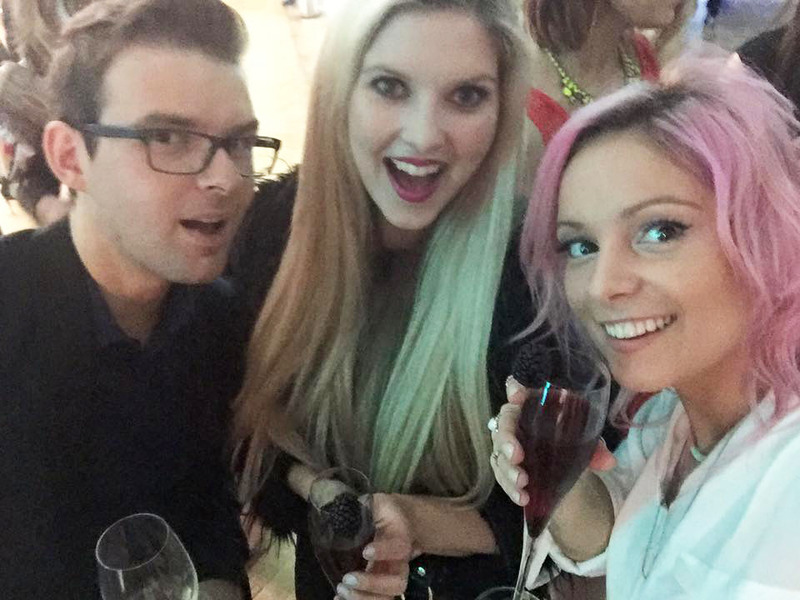 I was shortlisted for a Cosmopolitan Blog Awards 2015 and went to London for the big awards night at One Merylebone! (What a place!) Having a last minute panic of ‘’what will I wear’’ followed by ‘’OMG, what about my hair’’ I had a pretty good outcome, in the end, I must say! For my outfit, I have worn my favourite boots from All Saint, that cost me a week of my wedges (sigh..) plus, I wore feather skirt with white top followed by Accessories funky handbag! I had loads of moments about my outfit, thankfully positive! Also, another thing everyone was commenting was my hair! For this occasion, I went to hairdresser salon in London, Brooks and Brooks. I was invited to do my hair at the Brooks and Brooks prior the event. I was a little sceptic I must say! I normally do my hair myself, as I kind of never can get ‘’along’’ with my hairdressers. It’s always the case as they know better, and they do my hair they always do to clients, simply ignoring what I am saying. After my several visits, that after 1h my hair looked like after a solid shower I just gave up on going to hairdressers! I must admit that after so many bleaching, highlights etc to get my hair the best pastel pink, my hair really got to a bad state and I am left with not the finest hair! My hair naturally is very thin and flat and whatever I will do, I never can get the best blow dry effect without them get flat within 1h. This time, I thought, well everyone says London is shaping best hairdressers in the world so I may just give it a go! I arrived in London with my vlogger friend Chyaz who also was shortlisted! Yay! We have found the salon located on the Sicilian Ave, London with a really pretty surrounding just 2min away from the Holborn tube station. As we walked in, we were greeted with a friendly smile. I notice really pretty sweets in jars around! but no SNACKING for Anna :(! After few minutes, I was asked by Kayleigh my hairdresser to take the seat! Let’s do this! Kayleigh asked me loads of questions, so I have explained Kayleigh my hair condition and my normal styling routines and what problems I have with them. She listened carefully and begin to do blow dry my hair as I had them already washed. We laughed and chat through while I was taking pictures of my hair, Chaz made her make up! Once my hair was ready after an impressive blow dry, Kayleigh began to curl them, adding products and explained the whole process.she also introduced me to a product I also bought in the salon as I was really impressed how it made a difference within few minutes! Redken Extreme Protein Treatment! After she finished it was like WoW!! So full, so shiny! My colour looked just incredible! I was really really impressed with what Kayleigh did to my hair! For the first time, a hairdresser really listen and delivered exactly what I wanted! Also, it stayed like that for the entire evening and even next day! I totally loved! I took 100 selfies! No joke! 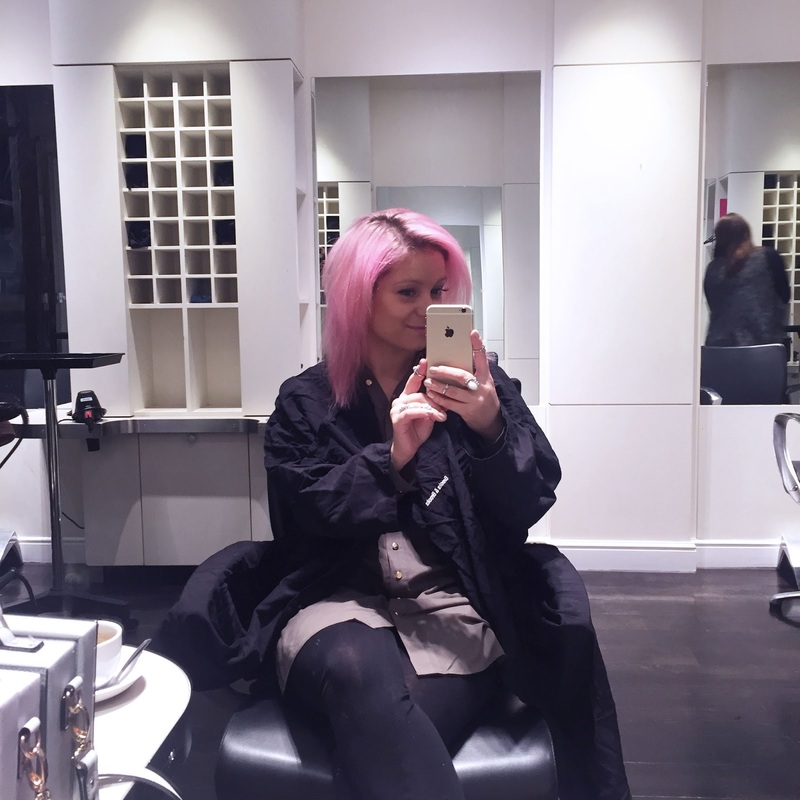 my hair received so many compliments from other bloggers and I was so impressed! 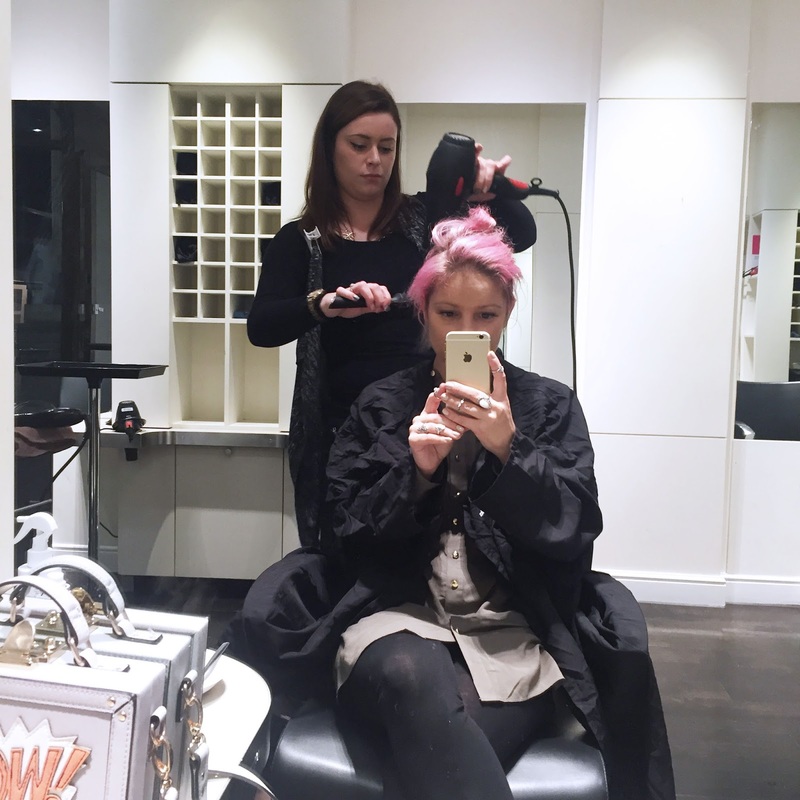 Where to get your hair done when in London? I now know! With no doubt, the best hairdressers in London! 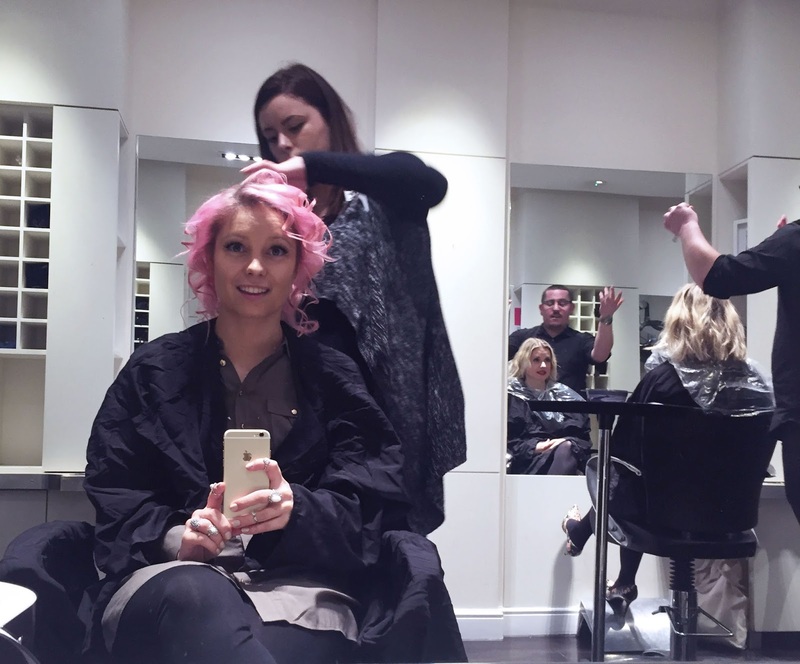 If you have upcoming events, look nowhere further than Brooks and Brooks hairdressers! They listen! Now, back to the Cosmo Awards! When I was shortlisted for the Cosmopolitan Blog Awards, I just simply couldn’t believe! It was right after I have won the Amara blog Awards as Best Newcomer and I seriously couldn’t not stop hugging everyone around, dancing when no one seen me and just smile all the time! I was extremely excited and happy to be invited to the exclusive London party where they announced the winners (sadly not me) but well, I can’t have it all, can I? 😉 I was just happy to be there and meet all fantastic winners and all shortlisted talented bloggers! *My hair style was complimentary thanks to Brooks and Brooks salon but opinion is entirely my own! Lazy girl guide to how to survive Easter when you spending it on your own with loads of chocolate ideas. wow, looks amazing indeed, i like the pink color, i already saw this style here http://elstile.com/. Sounds like a lovely experience, I didn't realise there was a hairdresser in such a central location. Wow! Your hair looks amazing and it sounds like they really took the care and time to give you exactly what you wanted. Loving the outfit too – you look fab! Congrats on your nomination again.